Eradicating child malnutrition is an important component of Sustainable Development Goals that were released last week. Goal 2.2 has set the target as: By 2030, end all forms of malnutrition, including achieving, by 2025, the internationally agreed targets on stunting and wasting in children under 5 years of age. Going by the experience of Millenium Development Goals (MDGs), experts are skeptical if India can achieve the target set. "We were far from meeting the target in MDGs. We cannot achieve aims set in SDGs unless there is a shift in policy and direction," said Arun Gupta, member at Prime Minister's Council on India's Nutrition Challenges and Regional Coordinator, International Baby Food Action Network (IBFAN) Asia. The indicator to judge performance on malnutrition in MDGs was to half the prevalence of underweight children below five years of age. India does not collect data to monitor this performance. The National Family Health Survey collects data on underweight children at the gap of a few years. According to the India Country Report on MDGs 2015, the data they used to judge India's performance was from NFHS 1992-93 (0-47 months of children), 98-99 (0-35 months) and 2005-06 (0-59 months). 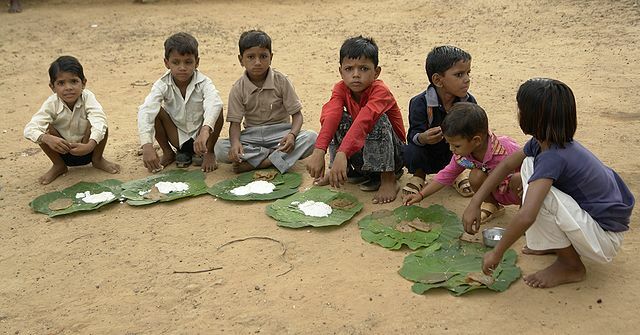 In 1990, 52 per cent of Indian children under three years of age were underweight. In order to meet the target, the proportion of under-weight children should have decreased to 26 per cent by 2015. The NFHS shows that the proportion of under-weight children below three years declined from 43 per cent in 1998-99 to 40 per cent in 2005-06. At this rate of decline the proportion of underweight children below three years is expected to reduce to 33 per cent by 2015. This indicates that India fell short of the target. It is not easy to meet targets set for malnutrition. It underlies poverty, food security and other such things. If a country has not met its target related to malnutrition, it shows bad on other indicators too. We need political will and bureaucratic hard work to reduce malnutrition," said Gupta. He also said that malnutrition cannot be fought without challenging the corporate sector. "Corporate companies selling formula milk and other products are responsible for not letting the malnutrition targets be met. For example, exclusive breast-feeding for first six months takes a hit," he said. yes I agree that malnutrition among children is still a challenge. It can be tackled only with a concerted efforts of the Government along with committed community involvement .